First, blend your protein, coffee, and milk together. Set aside. 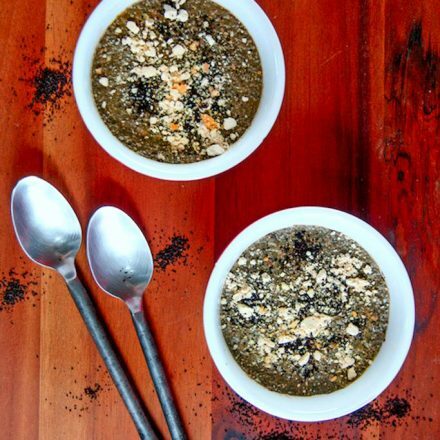 Pour 1/3 cup chia seed in to 2 bowls. Pour your protein shake mix on top and mix bowls so that chia seeds are evenly blended with protein shake. Pour caramel extract (or syrup if you are using it) into each bowl. Set in fridge for at least 4-6 hrs. I like to do this overnight. For extra sweetness and thickness, blend the protein shake with a banana or add in 1 tbsp honey/maple syrup. Feel free to top the chia pudding with granola, gluten free cookie, oats, nuts, or instant coffee! I used the little bit of coffee I had leftover from morning for this. You can also use tea or just stick with milk.